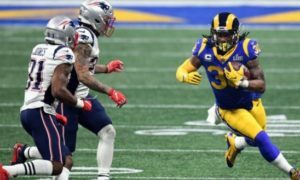 Many former Los Angeles Rams superstars have continued following their former team over the years, and this Super Bowl year is no different. 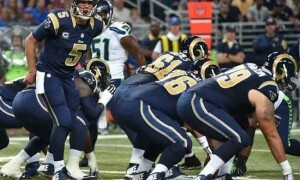 Former Rams quarterback Roman Gabriel believes the Rams can take it all this year. 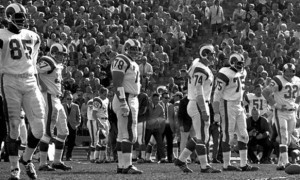 He sees a very familiar team in the 2018 team compared to the Rams offense he captained during the 1967 and 1969 seasons. I caught up with Gabriel early this week, and here is what had to say about the Rams’ chances in Super Bowl. He also discusses the playoff overtime rules, his influences as a player, and why he should be in the Pro Football Hall of Fame. 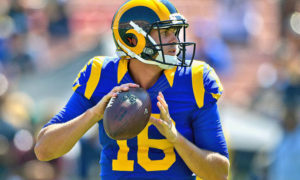 Rams Talk: What are your thoughts on this season’s Los Angeles Rams? 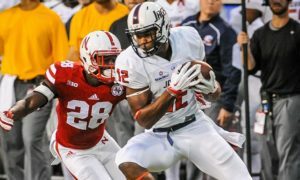 Gabriel: They have a great coach, strong defense, strong running game and an excellent, accurate quarterback. We were like that in the 1967 and 1969 seasons. RT: Who do you think will win the Super Bowl and why? Gabriel: I am a loyal former Ram, so I would take the three points and the Rams. The Rams’ pass rush will get to (Tom) Brady. I won’t be surprised if the Pats win. Brady is great! 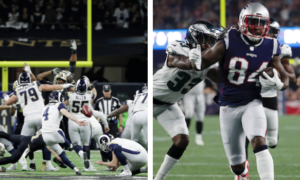 RT: Do you have any thoughts on current NFL officiating and the NFC Championship game between the Rams and the Saints? Gabriel: I believe only short-yardage goal line plays should be challenged and I don’t like the overtime rule. 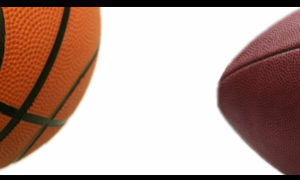 If a team with the ball first scores a touchdown, then the other team should still get a chance. 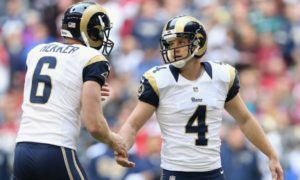 RT: Please talk about your career as a Ram. What were the highlights for you? What players impacted you the most? Gabriel: I started out as a third quarterback and backup tight end/receiver. The starting QB was Zeke Bratkowski. He became a friend and mentor. Linebacker Marlin McKeever also became a close friend as well as running back Jon Arnett. Later, Hall of Famer (defensive lineman) Merlin Olsen, center Ken Iman, linebacker Myron Pottios and tight end Billy Truax influenced my career and the way I played. Sonny Jurgenson went to the same high school I did, so I followed him and Johnny Unitas. 1967 and 1969 were great seasons. RT: How does it feel to be the first Filipino-American quarterback in the NFL? Gabriel: I am proud of my heritage, but it is just as important to be a patriotic American. My dad was my hero. 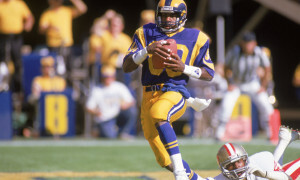 Yes, I believe Tank Younger was the first (non-white player) for the Rams. He played and later became a Ram scout. RT: What qualities do you believe put you into the Pro Football Hall of Fame? Gabriel: I showed leadership and toughness. I was always playing hurt, but always showing up and putting my team first. I ranked sixth among all NFL quarterbacks when I retired. I just want to thank people like (HOF campaign manager) Vinnie (Sheehan, Jr.) who believe in me and give of their valuable time to support me. It is difficult to imagine why the 78-year-old Gabriel would not be elected into the Hall of Fame with a career spanning 16 seasons where some his stats were greater than some quarterbacks already in Pro Football Hall of Fame. 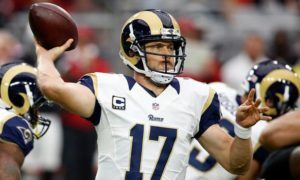 The Wilmington, North Carolina-native spent 11 seasons with the Los Angeles Rams and five seasons with the Philadelphia Eagles. He was also the tallest quarterback at 6’5’’ and 220 lbs. when he started playing for the Rams in 1962. On his Twitter fan page, “Roman Gabriel for Pro Football Hall of Fame,” Gabriel gives a brief video dated right before the Rams first meeting with the New Orleans Saints on November 4. 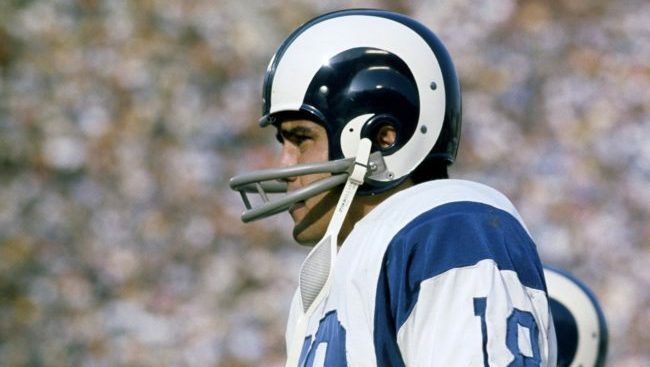 In the video, he mentions making history as not only the first Asian-American/Irish-American mixed race starting quarterback in the National Football League, but by also leading the Rams to their first ever 10-0 start under his leadership under center in 1969. -Played 89 consecutive games in his career. – Often played injured and took violent shots from defenses, worse than quarterbacks of today. – Inducted into the College Football Hall of Fame in 1989, set 22 NC State records. – Has more passing yards (29,444) in his career than 12 Pro Football Hall of Famers, including Terry Bradshaw, Roger Staubach, Joe Namath and Bart Starr. 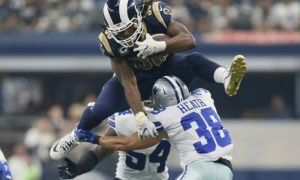 – Has more touchdowns (201) in his career than 10 Pro Football Hall of Famers, including Otto Graham, Bob Griese, Troy Aikman and Rams’ QB Norm Van Brocklin. – Was the NFL MVP for the 1969 season. – NFL Comeback Player of the Year in 1973 while with the Eagles. – Competed with the best quarterbacks during the golden age of football including Johnny Unitas and Bart Starr. Gabriel’s lack of votes for the Hall of Fame may be due to him never winning a Super Bowl, although there are other players in the Hall of Fame in the same position. Rams fans only hope Roman Gabriel will get there one day. He deserves the votes after putting up career numbers that beat some of the NFL’s greatest quarterbacks. 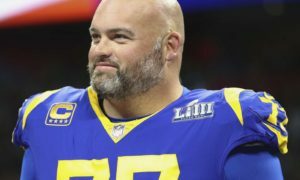 Meanwhile, Gabriel is confident in a Rams’ victory in Super Bowl LIII, and fans worldwide should have great confidence in his 2020 Hall of Fame nomination.